On Faith and Politics: Towards a Pentecostal political praxis in Zambia | Elias Munshya, LL.M, MBA, M.DIV. The pentecostal movement is here to stay. Dismissed as a passing fad, its resiliency has baffled many critics. With several streams expressing its identity the time has come for Pentecostalism to define and redefine its attitude towards the state, particularly in a country like Zambia which claims to be a Christian nation. President Lungu’s religious conduct in the past month has received the most praise from Patriotic Front cadres and many Pentecostals. I submit that once pentecostalism has had a deep search into its own theology, it will find plenty fodder for principles that must guide its attitude towards politics in general and the state in particular. What are the principles that should guide a pentecostal political praxis? First, as a movement that hates human suffering and poverty, pentecostals could become vocal advocates for national economic transformation. Pentecostals claim that suffering is not from God. In fact, this is one point that African traditional religions find unanimity with pentecostalism, a detest for suffering. Since this is what Pentecostals believe, it should not be difficult then for them to confront social and political causes of that suffering and poverty. Unfortunately, Pentecostals are not as keen in confronting social and political causes of poverty. Pentecostal pulpits teach how that it is God’s will to be rich, but there are not enough messages trying to prophetically call out political corruption. Perhaps, Pentecostals in Zambia would do well to shift their theology a little bit so as to bring the political arena into the mix of what they understand to be sources of human suffering. Second, from its “transnational prophetism” Pentecostalism can hew-out some principles to guide its attitude towards politics in Zambia. Through transnational prophetism, Pentecostals envision themselves beyond the limits of the national borders. This can be seen from the names of Pentecostal churches and ministries which emphasize their transnational character. Leading Pentecostal churches in Zambia frequently add “international” or its variation in their names to emphasize transnationalism. Both Grace Ministries Mission International and Bread of Life Church International are good examples. The Bible Gospel Church in Africa (BIGOCA) shows its transnational character by infusing “Africa” in its name. Zambian Pentecostals need to reimagine their attitude towards politics in ways that remain faithful to their transnational character and vision. If Pentecostals are transnational, then it should follow that they must respect and consider the Pentecostal character of their brothers and sisters in other countries. It is this transnationalism that must tamper Zambian Pentecostals’ unbridled nationalism which may lead to absurd political results in Zambia. In Nigeria, for example, the Pentecostal community there would go to war to preserve their federal republic as a “secular state”. In Zambia, however, Pentecostals almost without a second thought believe that Zambia must be a “Christian state”. Pentecostal trans-nationality therefore challenges some assumptions among Zambian Pentecostals that for Zambia to be evangelically viable, it must be a “Christian nation”. Third, Pentecostals are a people of renewal. They live in an atmosphere of constant spiritual innovation. They do emphasize that there is always a “new thing” that God is doing among the people. This is important and it must be highly commended. However, statecraft and statesmanship demands that people consider a little bit of history. History is oftentimes not very important to a Pentecostal worldview. When President Edgar Lungu takes several steps that seem to advance the Pentecostal faith, Pentecostals believe it is a “new thing”. They quickly forget, and would not want to be reminded of the past interaction between church and state under the leadership of President Chiluba. If Pentecostals are to be relevant politically, they must realise that Zambia is a history. In politics, actions of political leaders should be interpreted within the past practices. When President Chiluba declared Zambia as a Christian nation in 1991, he was flanked by two of the most influential Pentecostal figures of that time: Chawuska M.M. Chihana and Ernest Chelelwa. When Chiluba chose to include the “Christian nation” declaration in the preamble to the constitution of Zambia in 1996, Pentecostals were the most vocal supporters of this constitutional enactment. Chiluba’s favorite scripture was 2 Chronicles 7:14, the same scripture that President Lungu is quoting to justify his evangelical crusade today. Pentecostals would do very well to interrogate the history of what happened the last time a president went to church in their name. 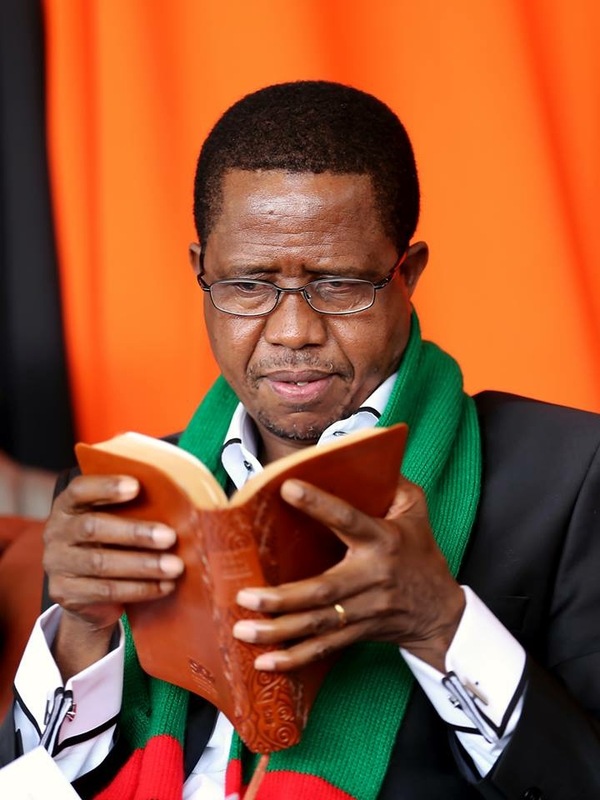 Such an enquiry would help current Pentecostal leaders hone their message and re-evaluate their attitude towards President Lungu’s seemingly praiseworthy biblical pronouncements. Pentecostal Chiluba ended up facing the most vicious of corruption charges. Is there anything Pentecostals can learn from that history? It is time to move beyond the comfort of slogans! Fourth, Pentecostals are men and women of war. One of the most dramatic characteristics of Pentecostalism is the belief in a cosmic war taking place between good and evil and between God and satan. Very frequently Pentecostals engage in spiritual warfare in which they “bring down” strongholds of vices such as poverty, prostitution or gambling. Pentecostals would very easily bind and take spiritual authority over the stronghold that controls an institution such as the Copperbelt University and ZESCO Ltd. This spiritual ethic of prayer and warfare is a positive thing. Nevertheless, Pentecostals might need to intervene more proactively in bringing down these strongholds not only by spiritual prayer, but by political action as well. Bizarre that on the same weekend that President Lungu was dedicating the building of a state funded church in Lusaka, the state police were beating and assaulting Copperbelt University students who had gathered to protest government policy. There has so far been no word from a single Pentecostal leader condemning the brutality of President Lungu’s police. But if President Lungu were to call for a prayer and fasting to resolve CBU problems, Pentecostals would be among the first people to respond to that prayer. In conclusion, with a small shove in the right direction, Pentecostalism could be a good political force in Zambia. They already have what it takes in their theology. It is time to domesticate that theology into a viable political praxis. It’s a critical time for us Pentecostals, in all our varied streams, take a serious step to pay attention to what happens around our nation politically, economically, socially and indeed spiritually, so that we do not unwittingly slide into a convoluted position we have been trying to dig ourselves out of, on the heels of the mess we have witnessed, pursuant to Zambia being declared a Christian nation. Even a good or great thing can be marred if not handled properly. I speak as one who has never been ashamed to be called a Pentecostal Christian, even though I have been ashamed of some of what we Pentecostals have done. So, May we, at every level of our Pentecostalism, seriously consider “time has come for Pentecostalism to define and redefine its attitude towards the state, particularly in a country like Zambia which claims to be a Christian nation.” Mere slogans will not cut it anymore. We know better Pentecostals!